Today I have a guest post for you. 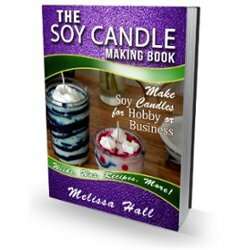 A member of the Soy Candle Making Time Community Facebook group posted about how to sell your candles in stores, and I thought it was extremely helpful and generous! If you have a candle business and you are looking to get your candles in stores, this could be a great way to do that. I know many of you are getting started in your businesses. A great way to get into stores is as follows. 1. Sign up for all the shows you can in your area, as much as you can afford to. 2. Type up a list of all the shows you will be in. 3. Go in with a smile and demo product to the shops in your town. Tell them, if you carry my product, I will promote your store to this list of shows. Give them the list. 4. Product sales. Invoices are payable upon delivery. consider offering a 30 day rotation. In my business, I don’t limit it to 30 days. That product could be on a store shelf or in my studio that is in a private residence, and it’s getting more exposure on the shelf. Some balk at selling wholesale but if you had your own store, you would be paying that difference anyway in lease, business tax, etc. 5. Goal is to get into 5 stores. On rotation day, go to store #1 and note the slowest selling item. With manager permission, replace slow seller with a new item. Take rotated item to store #2 and put it there. and so forth through all five of your stores. If a product has been rotated through all 5 wholesalers, consider not carrying it again after taking it to eBay. As you work on this and build it up, it will help with sales. The store resistance to carrying your product will waver when they know you do rotations so they never have to mark items down and also, that you will actively promote them. Earlier this year our hot tub motor and pump busted. $1000 repair. I paid for it in soap and candles instead, so I have that wholesaler on barter for the duration. I am about $100 away from having it paid in full. The other idea. Consider barter as payment for the stores that are really hesitant besides all you have proposed. When I got into a major hardware store, my husband got a Weber grill, a snow blower, and a fancy mechanic’s drawer unit the first year. I made a believer out of them and I don’t barter with them anymore. I get paid and things sell briskly. I think the reason wholesalers may be so hesitant to carry product is that the expenses of running a store make them cautious. Work with that by making them know you are a team player for advertising. Example: If you opt to carry my product, every single bar of soap I sell at xyz farmers market will be accompanied by the coupon or ad you give me for your store. they will know that I am at your store and they’ll go in and buy other things. I want to help promote your business. I have done this for 20 years, and about 5 years away from retiring. This is what I did, and it worked. Believe in yourself, in your abilities to create beautiful things. Thank you to Melissa for having such a wonderful list that’s a resource. I just wanted to take a moment to share my marketing tactics for new contracts. 🙂 I hope it helps you if you want to try it. I think it will! Some of you sell briskly, but others, if you are trying to sell your candles in stores, this is the way in….best wishes with your wonderful work! Thank you Lillian for sharing this excellent info and allowing me to publish it here for everyone to benefit! 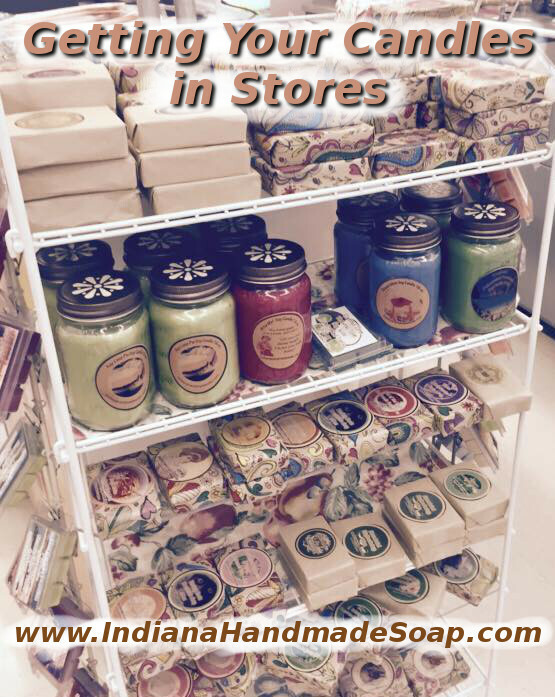 I make Soy Candle in 8 oz jars with lids using only Organic all natural ingredients. My Wooden Wicks are not lighting and relighting as well as I expected. Can you offer any advice? I ordered mine from The Flaming Candle. There have to be better ones out there, but I cannot seem to find a blog. I have heard that Unity Wooden Wicks are the best. Please help if you have any info. Thank you, Lisa Swan, Simply Soy. I had the same issue. I double wick my candles and they burn perfect! Thanks so much for this helpful info! I am about to market my soy wax melts to retailers and I now have a plan If how to do this. All of your information is fantastic! Did you ever post what happend when you did the burn test with the NEW Golden 464? If so I didn’t see it. I literally JUST switched to the 464 last night! Will have to wait a week or so to see how my burn tests and throw tests go!